Cross Browser Testing can be the biggest pain for any Software Tester. But thanks to all Cross-browser Test tools available online which help in minimizing the testing efforts. I've written this post focusing mainly for Software Testers and Designers for knowing various methods for browser testing. There are many free and paid browser test tools available in the market. You need to select the browser compatibility test tool depending on your needs. 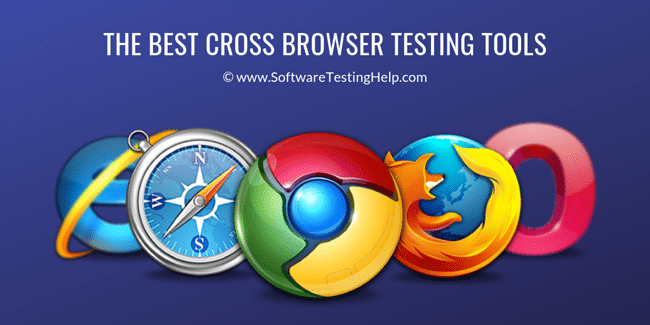 If cross-browser testing is a critical part of your web project then you must allocate some considerable time, resources and budget for testing your website on different web browsers. 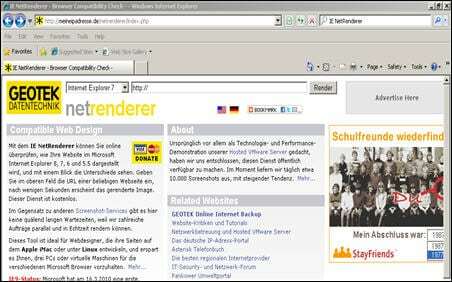 15) Different browsers (with different versions) like Internet Explorer, Firefox, Google Chrome, Safari, and Opera. The premium browser testing tools can be a good option for projects having browser dependent functionality. But for most of the projects, free tools are sufficient to verify cross-browser functionality. => Contact us to suggest a listing here. Test your website on 1500+ real desktop and mobile browsers. Interactively test and debug on live remote devices, view your website on multiple browsers at once by taking automated, or run automated using Selenium, Appium, or your other favorite frameworks. Agile teams can test faster with parallel testing and integrations with CI tools like Jenkins. Test Your Website on a combination of 2000+ Browsers & OS. LambdaTest is a cloud-based cross-browser testing platform that helps you to perform compatibility testing of your web app or websites easily. You can run automated selenium scripts on LambdaTest's scalable cloud grid, or can even perform live interactive testing on real browser environments. Automate your cross-browser testing by running Selenium and Appium tests on 1,000+ browser types, versions, and operating systems. Reliable object identification, even for web elements with dynamic IDs. Shareable object repository and reusable code modules for efficient test creation and reduced maintenance. Customizable test report with video reporting of test execution – see what happened in a test run without having to re-run the test! Run cross-browser tests in parallel or distribute them on a Selenium Grid with built-in Selenium Webdriver support. Integrates with tools like Jira, Jenkins, TestRail, Git, Travis CI, and more. Browsershots allow you to test a website in any browser and operating system. This is a widely used browser compatibility testing tool because of its features and available customizations. You need to repeat these steps for every test. This free browser compatibility test service can be used for taking website screen-shots almost in 61 browsers and various operating systems. The main drawback of this service is the time taken to display the result when you select several browsers and many times it shows timeout error. Supported browsers: IE, Firefox, Google Chrome, Opera, Safari, Minefield, Netscape and many more browsers with all versions. The Turbo Browser Sandbox allows you to use almost all the top web browsers without installing on your machine. You can run all popular browsers including Internet Explorer, Firefox, Chrome, and Opera on your machine directly from the web. Spoon Browser Sandbox was initially a free service but it's currently a premium service as it's supporting most of the browsers. This is a free online browser compatibility check tool to test website on almost all versions of Microsoft Internet Explorer. Just select the Internet Explorer version from the drop-down list and put your URL to start rendering the website. You can instantly verify the screen-shot of the page under test. There is also an “IE NetRenderer” Firefox add-on available that allows you to render the web page that you are currently reading. Visit IE NetRenderer official website here. This is the best tool to test cross-browser layouts and scripting errors for your website. This is an automated browser compatibility testing tool used to test a website and its elements in multiple browsers. You can use this service to test a website and all web pages for layout and scripting errors. There are many options available online if you want to check the browser compatibility on Internet Explorer versions. IETester is one of those options that allows you to test your website on the latest IE versions at the same time using one application. IETester, a free browser testing tool can be used to test website on IE11, IE10, IE9 and Microsoft Windows 8 and many other Operating Systems. BrowserStack Live is a mobile application and browser testing tool. You can test your website on 2000+ browsers making it one of the comprehensive browser compatibility tests. You can test your website on Android and iOS real devices using their cloud platform. This tool is also useful for testing websites on different operating systems and real mobile devices. Automate browser testing process for browser compatibility check on different browsers and operating systems. 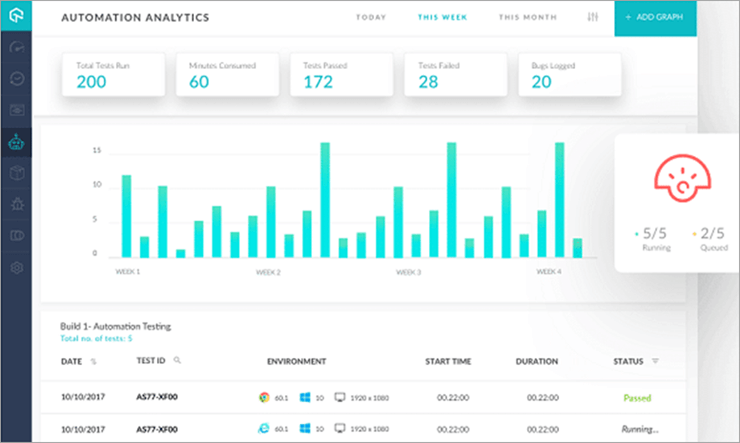 TestComplete is a functional UI automated testing tool that you can use to create and run tests on any web application. Run tests in parallel across more than 1500 real test environments, all without any setup or configuration. Get real-time access to the latest devices, resolutions, browsers and operating systems in TestComplete’s on-demand cloud lab. There are some tools like Browserling for interactive browser testing. If you can't rely on these online tools then using Virtual Desktop is the best solution for you. Using Virtual machine you can simulate the live environment for multiple browsers and different operating systems. You can use virtual machine software or set up a virtual machine on your office network with different operating system images and browsers which can be accessed remotely for browser compatibility testing. I hope this post is helpful to know the best commercial and free cross-browser testing tools available online. Obviously, the selection of a good cross-platform tool depends on your requirement as each browser compatibility checking tool comes with its own advantages and disadvantages. Which test method you use to test browser compatibility? If you have your own way of testing browser compatibility, please let us know in the comments section below. This summary is really helpul for me. Bix Thx. Hoewer I have a question which is becoming critical for me. The web sites we are using is available for dedicated users only. Means, that you have to be logged on to use the web sites to ba able to use them. How can test this kind of web pages? how can I log in within browser test tools? We recently launched a service where you can test your website on multiple browsers at once, automatically. At testingbot .com you can easily test your site on dozens of browsers via Selenium. Thank You very much Friend. its very use full to whom become a good tester in society. a. How can we implement these test cases in our projects in real scenarios? b. Which test cases should be tested by developers and which test cases should be added by the testers? c. I am very much interested in knowing about Stess testing part as our project Roam4Less.com is having many issues related to this. Please let us know more about Stress Testing. Hi i just now started mannual testing in web testing i want to know the what is the career in web testing? is their difference betn software testing & web testing? minimun exp and skills require switch to automation testing. Hats off to you mate !! Brillient article. Thanks for sharing. Thanks … Really helped me. Can anyone suggest a good tool that will allow me to do crossbrowser testing and supports mobile testing. I’ve piloted a Sauce and Browserstack but my security team will not allow tunnels. Is there a good software available for purchase/download? Can anyone let me know how i can test particular scenario by using any free testing tool.I have tried with browsershot tool .BUt it only provides the screenshot with diffrent browser. How i can test these 3 pages navigation . Please update me on my aaangel97@gmail.com. this really helped a lot us to find the best resource for our testing. Hi, I think I am a few years late to join the party. Nevertheless you may find our tool webmate interesting if you are looking for cross browser testing tools. We do automated layout testing with side-by-side diff, regression testing between different URLs, and provide direct access to the machines via VNC. can you please help what tool can I use to do crossbrowser testing. I am planning selenium webdriver. Is this good to test everything that is needed by me. I am new to selenium and learning now. I am looking for a tool that can execute the test cases in multiple browsers simultaneously. I know browserstack provides browsers but can’t execute the test cases simultaneously, can someone please let me know if they have used any such tools? My project is working fine when i use Firefox. When I use Chrome or IE, it fails 50% test as well as Headless Browser Testing. Please help me, If anyone knows the issue. Nice list. You’ve missed some popular tools like sauce labs & browserstack. In fact many of the tools that appear on googling “cross browser testing tools” don’t appear here. Thanks for the info.. Indeed its helpful!! Good info. Browserstack is another popular paid tool we use at our workplace. figured it out. thanks for your help everyone. NICE LIST. THANKS SO MUCH. I HAVE used browserstack for 3 years and really loved it but it was a bit expensive though now switched to lambdatest and i am kinda loving it. however there are few more from the list that i haven’t tried. thanks again i am gonna try these too.